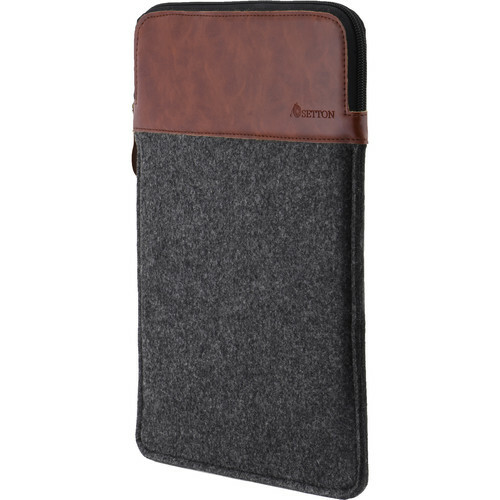 Carry your MacBook around in style with the gray/brown Wool Felt Sleeve from Setton Brothers. Crafted from PU leather and wool felt, this sleeve provides your notebook with 360° of scratch protection. It also has a leather strap and zipper to ensure your notebook won’t fall out. 2 Comments On "Today Only: Setton Brothers Wool Felt Sleeve For 13″ MacBook Air For $5.99 Shipped From BH"
Can this work for iPad Pro 12.9”?